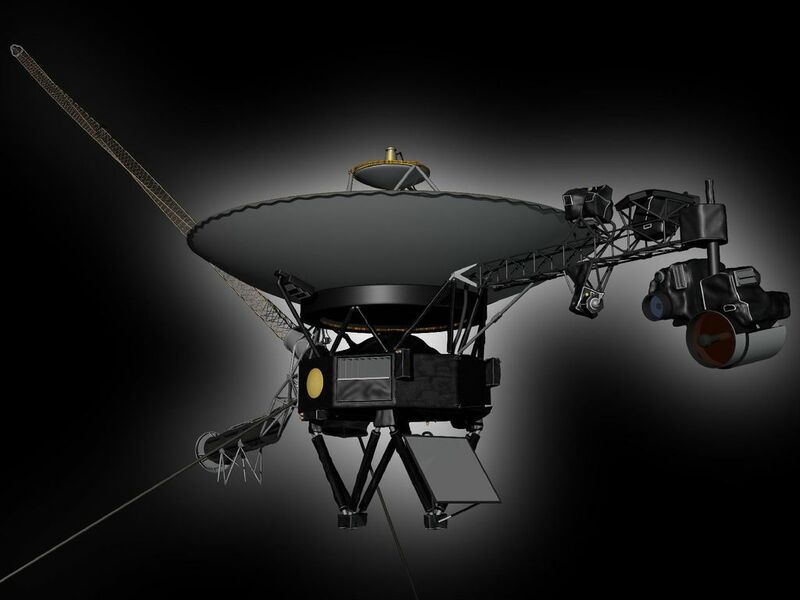 This artist's rendering shows NASA's Voyager spacecraft. On the boom to the right, the Cosmic Ray Science instrument, Low Energy Charged Particle detector, the Infrared Spectrometer and Radiometer, Ultraviolet Spectrometer, Photopolarimeter and Wide and Narrow Angle Cameras are visible. The bright gray square is an optical calibration plate for the instruments. The Golden Record, containing images and sounds from Earth, is the yellow circle on the main spacecraft body. The dish is the spacecraft's high-gain antenna for communications with Earth. The magnetometer boom stretches out to the upper left. The radio isotope thermoelectric generators, Voyager's power source, are visible to the lower left. The two long thin rods extending out to the left are antennas used by the Plasma Wave instrument. The Planetary Radio instrument also used these antennas when it was turned on. 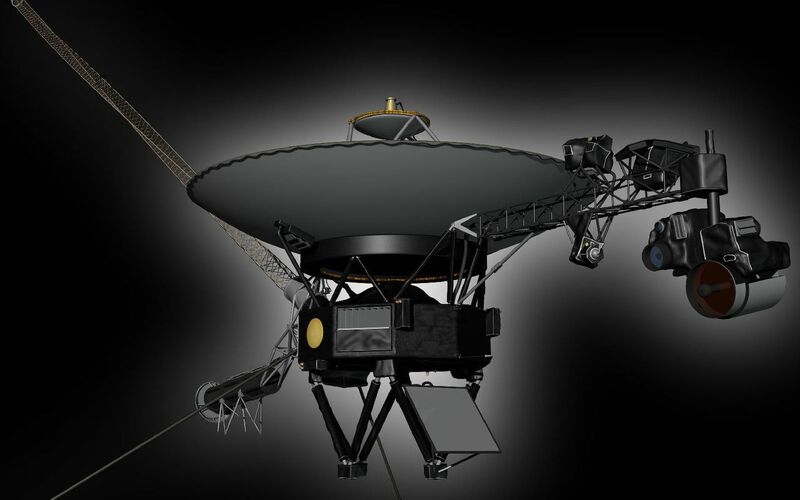 The two Voyager spacecraft are identical. Voyager 2 was launched on Aug. 20, 1977. Voyager 1 was launched on Sept. 5, 1977. 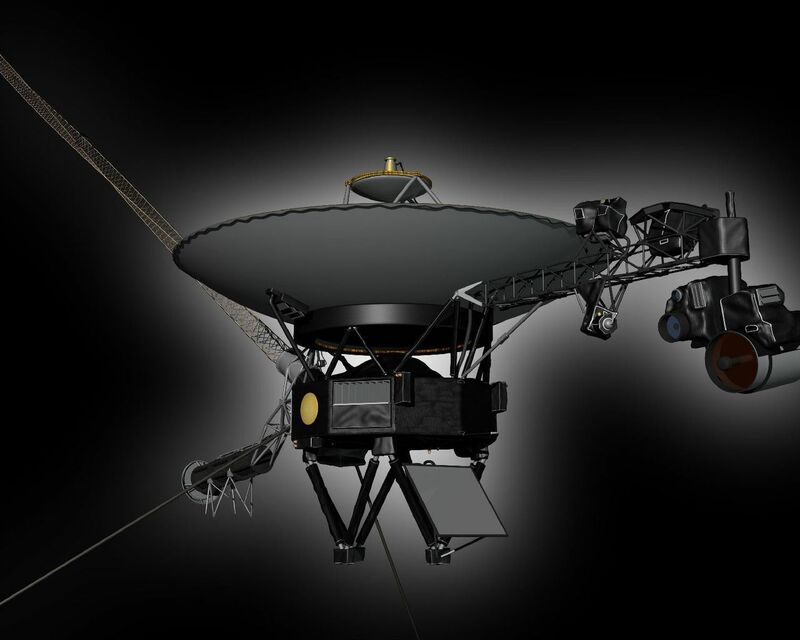 For more information about the Voyager spacecraft, visit http://www.nasa.gov/voyager and http://voyager.jpl.nasa.gov.